One of the year’s most anticipated titles, Red Dead Redemption, hits stores today, and it seems Rockstar has been hiding a secret: the PlayStation 3 version of the game features exclusive content. An image taken of a PS3 copy of the game shows a sticker touting the content. It includes “Solomon’s Folly Gang Hideout” and the “Walton Gang Outfit” for the game’s multiplayer mode. Rockstar had not previously disclosed the exclusive, though they did offer bonuses for pre-ordering the game at Gamestop. Last year’s Batman: Arkham Asylum featured a similar exclusive, allowing gamers to play as the Joker only in the PlayStation 3 version, which outsold the Xbox 360 version. This was no small feat for a multiplatform title considering the 360 user base, so it seems Rockstar is using a similar strategy to increase PS3 sales. 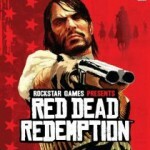 Red Dead Redemption is now available for the PlayStation 3 and Xbox 360.